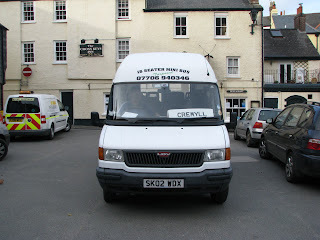 Today saw a new 'Bus Stop' marked out space put up in Cremyll though no marking was done for disabled parking. This has meant that other non disabled cars are still parking in the turning bay causing a lot of trouble for the buses, especially Tridents, and when 2 buses are there at once, its not easy! 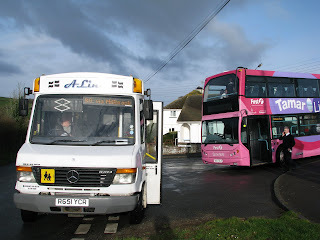 This picture also shows that both buses in Cremyll were not even in the bay because of its inappropriate placing which would obstruct people coming off the ferry. The raised curb is also of very poor quality and is not even the correct height for any of the buses used! A-Line update coming tomorrow. ... it does at A-Line Travel. 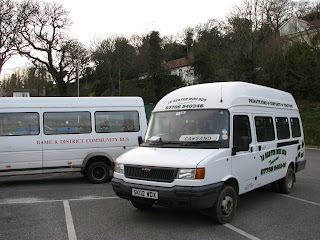 The LDV minibus SK02 WDX turned up this morning to work the routes today in place of the 2 Varios, while an S reg LDV worked the schools along with E920 EAY on the Cawsand schools. 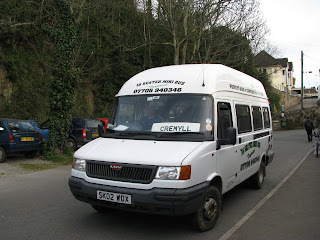 The LDV got quite full on its way down to Cremyll with me as the conductor opening up the doors and punching the tickets as people got in to save Jim getting out and running round to do it. It had worked well that morning and when it went onto its trip to Trago was working well. Dave took her over in Torpoint though into this journey, you've probably guessed it BANG! No it wasn't a Turbo this time but a piston had shattered. This meant that the LDV was now unserviceable. This meant that Jim was pretty stuck. The Vario's Turbos will be arriving tomorrow morning and one will hopefully be serviceable by tomorrow but this meant that E920 EAY had to take over the LDV's Cremyll duties after she had finished the school run. E920 driven by Rodger was then taken out of service at Millbrook and swapped for the S reg LDV owned by Cremyll coaches. Can luck really get any worse for Jim, 3 vehicles off the road in as many days. We really do feel for him at this time and hope things will look up tomorrow when a turbo will hopefully be fitted to one or more of the Varios. 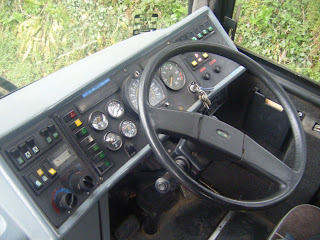 Though it is not yet known what bus will replace the LDV tomorrow morning. More news tomorrow. Sorry no pictures of the S reg, camera died on me. The day started off fairly uneventful. I was expecting some odd bus to appear from the bottom of the road but it turned out to be X891 YGU the Vario usually used on the Narkus school bus. The journey was very pleasant on this much nicer Vario and is picture in Cremyll above looking splendid. The bus continued on its routes until the 10 o'clock change over to Derrick Cuff. Though as Derrick pulled away literally just up the road, guess what happened. X891 YGU's Turbo went BANG! Exactly the same fault as on the R reg just a few days earlier!! How can this happen and under the same driver too? 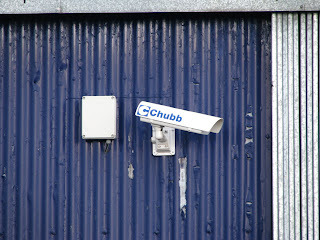 Very unlucky for Mr Cuff though was not his fault. It seems he has just been very unlucky. But this did cause major problems for A-Line. 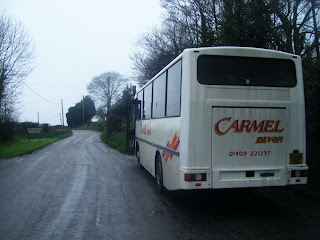 There was now no spare bus available as M152 LPL was still off the road and the coaches were not able to do this route. This meant that the rest of the services had to be cancelled until another bus could be sourced. The X reg took a very steady journey back to the depot with Jim at the wheel where Derrick went ahead to get oil from the depot. The bus was giving out huge clouds of smoke and oil was leaking badly. If this oil hadn't been sourced it was likely the engine would have blown. 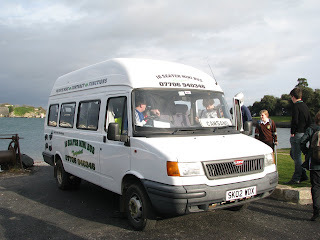 By the afternoon 80 services a bus had been hired in the form of an LDV Minibus SK02 WDX supplied by Torpoint Minibuses. This continued the services through the evening with no hitches, though did need a conductor in the busier journey, that being me. Jumping in and out of the front opening the doors! Bit of fun for an afternoon! 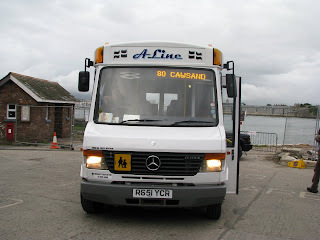 It also meant the bus could serve some places it currently is not able to such as going right down into the village of Cawsand both ends, a great help to passengers on board this service. So very bad news for A-Line, not even a year since the 2 Varios were acquired they are both out of service with the same problem. 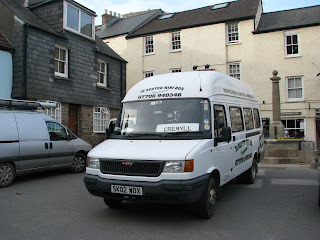 2 LDV minibuses are currently on loan from Cremyll Coaches and Torpoint Minibuses. Is has been rumoured that M152 LPL may try to be brought back to service in the very near future if the problem cannot be fixed soon. More updates as they come! A new addition to this blog will now be the weekly feature 'Snap on Sunday'. This will post my favorite picture taken in the week and a short caption! 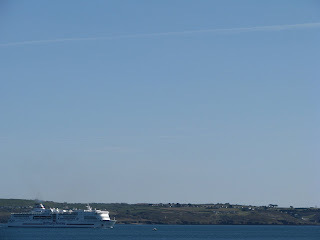 This week it is Britany Ferryies' Pont Aven taken in Plymouth sound today. Looking glorious as always and what a lovely day it would be to be going on holiday! A very calm crossing for a change as well! 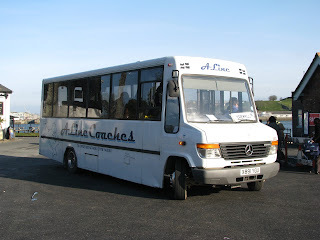 Today A-Line Travel's Mercedes Vario R651 YCR suffered major engine problems and possibly more. After the problems yesterday things have escalated with the bus. 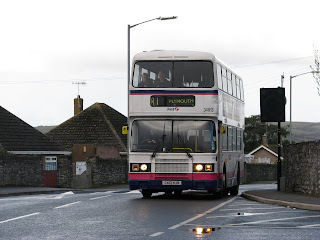 Derrick Cuff took the bus over from Torpoint at around half 2 this afternoon. While going through the road to St John there was an extremely loud BANG and the turbo on the Vario blew. Derrick was immediately on the phone to Jim asking what to do next. As Jim lives in St John this was just a walk down the road. After inspecting it it was obvious this would not be a quick fix and the explosion had also possibly caused damage to the chassis. 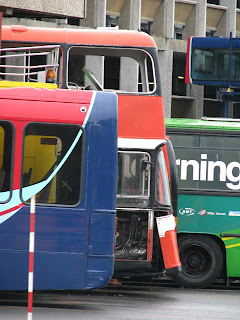 Therefore the bus was taken straight out of service and Volvo B10M E920 EAY was put into its place on the 80. Derrick caught up the time lost quite easily as the coach was not able to go on the road round Anderton. Though this is very bad news I must say it was lovely having E920 on the run, just what I was hoping for yesterday! It was also my first trip on E920 and I was quite surprised how well this old manual gearbox B10M goes! She really did go well up the hill from Cremyll. If only we could have this on the bus everyday! 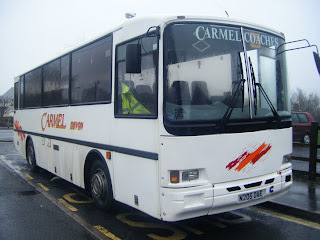 Derrick also drove the coach extremely well and showed Target Travel what he could really do with a fully manual coach! Target Travel had never allowed him to drive a coach as they though he was incapable though it was quite obvious today that this was not the case! Though after the 16:28 from Cremyll Jim had brough X891 YGU back from the Narkus school run and therefore passengers were changed and E920 made its way back to the depot in the hands of Jim. So I am very keen to find out what will happen on Monday. 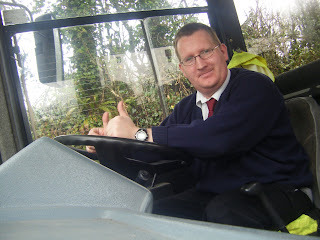 However good Jim is at bus maintenance I doubt he will have the R reg back up and running for Monday's services. 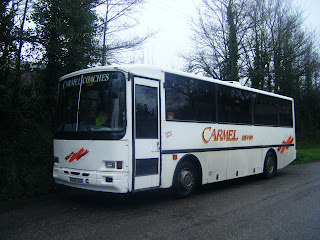 The Van Hool is also suffering at the moment so this cannot be used. And M152 LPL is currently out of action. Unless he can get her up and running within the weekend I would guess Jim will have to hire in a bus from another company, likely to be Cremyll Coaches though we will see on Monday. Sorry about the picture quality. I was angry I didn't have the camera with me today for this occasion! Though the pictures show Derrick with E920 EAY and another standing with C417 HJN before the 16:33 81C to Torpoint. Today saw R651 YCR suffer engine troubles on the 80s today which left her being very low on power climbing the hill from Millbrook and several other places on route. This led to Steve ringing Jim to tell him what to do next. He took the bus to the Triangle and then waited for Jim to come down. Jim went to rev it up to try and clean it incase of dirty fuel though this made the bus stall. This happened a few times. Jim then "working his magic" in the words of Steve under the bonnet and she jumped into life. As a procaution Jim followed behind in Volvo B10M E920 EAY incase of another mis-hap. Though after 2 runs Jim left Steve to get on with it on the 4:28 from Cremyll. Picture shows E920 on the duplicate taken from R651 YCR. 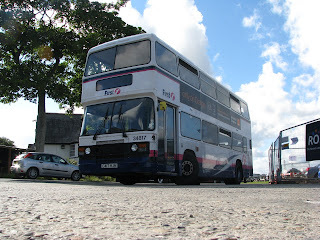 Torpoint Volvo Olympian K802 ORL (34002) has been spending a lot of time recently working from Callington depot. I have seen a brilliant picture by Geoff Courtnage of her in the snow, looks like she has been working hard on the 76s! 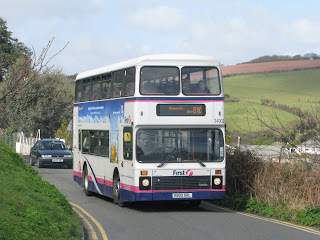 She has now returned to her home depot at Torpoint and has seen daily use on the Cremyll/Anderton school run aswell as runs on the 81/A/C as she is still very much a favorite with the Torpoint drivers and even more so now she has been tweaked to deliver a smoother power delivery unlike before where it was very jerky. She is picture here at Cawsand Fort on Saturday working an 81C into Bretonside. Extra information for you is that the day tickets will be £7.50 for Adults and £4.50 for children. Train tickets from Plymouth are £46 return for adults and £23 return for Children, both obviously cheaper with a railcard. Fairly expensive yes. Picture shown is one of the VRs in Poole last Summer, now likely in a scrapyard of the southwest. I was watching an epidsode of popular Channel 4 program "Skins" for the first time yesterday. And I was in shock one the main character "Sid" was pictured aboard what looked like an Olympian of some discription. The Seat moquette gave a big hint to me that it was C417 HJN the Torpoint Olympian that used to work in Bristol. On further research I found that the program was made in Bristol so things looked quite promising. In the second program amazingly C417 HJN was seen again and an outside shot confirmed this! C417 HJN a big TV star!! Lucky old Torpoint depot. The drivers don't know how lucky they are and the passengers how privaledged they should feel! So soon the opotunity may come up to own a famous Leyland Olympian! Keep a look out! I was trying to puzzle together how C417 HJN had been used twice as I found this quite amazing and very ironic. On further research I found that her time in Bristol was nearly 100% on route 222. The only thing I can think of is she used to run a shuttle from the school/college that the program is filmed. If anyone knows more please let me know or comment this post! No sooner do I report on Derrick Cuff leaving than I report on Derrick Cuff returning to the PCV driving world! He took his place back up at A-Line on Monday and is now again a Monday and Friday driver at the company after problems with his new job. ... well so far it is anyway! This shot was taken on Saturday morning while making my way upto the train station from Royal Parade. We could have taken an earlier bus upto the train station though we thought we'd hang on for a 76 which was bound to give us a more interesting bus for the journey. I was hoping for the L reg Volvo Olympian which has recently come out of storage though what turned up was something very unexpected! 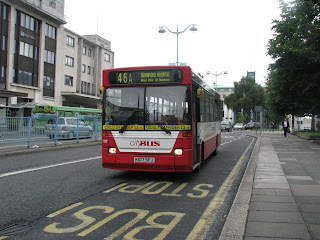 C412 HJN has had problems again and had been in Plymouth depot on Friday. Though for some reason they must have been short on the 76! 34812 was the bus that turned up for the run to Callington definately not expected. 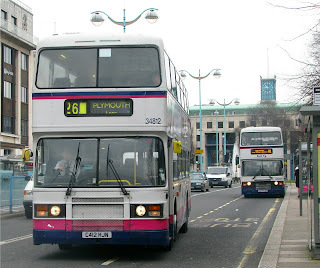 C417 HJN also followed on her proper routes so gave a great photo of Plymouth, how it should still be! 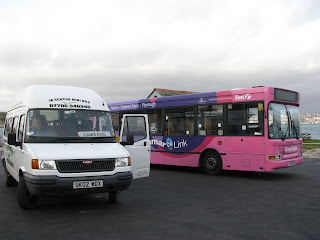 2 ex-Essex buses working there trade, but on different routes. I love it! Also notice C412 HJN has the wrong detination and number set. This driver didn't seem to have a clue how to work it and as a result many people we passed got very confused! The blind displays "26, Plymouth Looe" Where it should read "76 Callington"
Though this brings up the point that Callington now have 2 buses allocated to Torpoint, these being 412 and the Volvo Olympian K802 ORL. 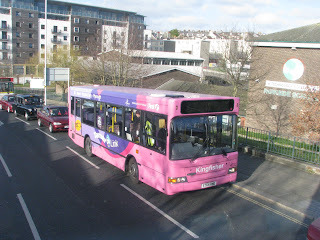 Does Callington really need these buses. 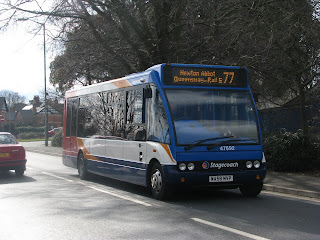 Any bus is able to run the 76/A so why take buses from Torpoint? 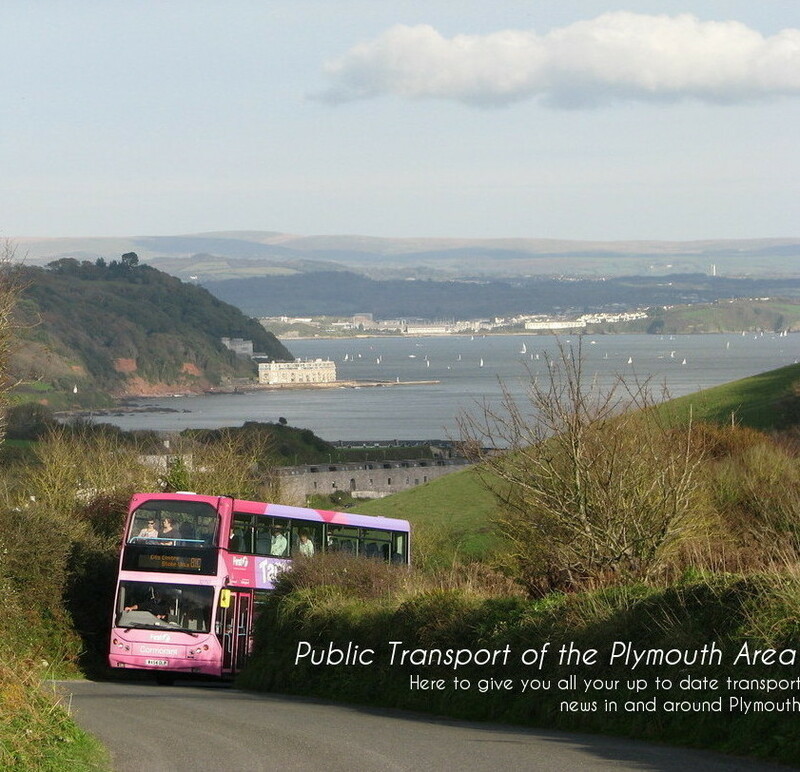 Certain buses are needed for these routes because of the Torpoint ferry modifications. 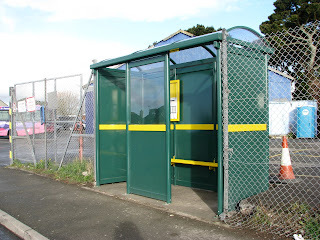 And again Torpoint gets unwanted Varios to cover for deckers. When will this change! While in Newton Abbot on Saturday I was at the station doing some spotting with Louis. I also pop out to see the buses that come past the station. Though what I certainly wasn't exspecting was a brand new Optare Solo. This came in the form of WA58 MVP, there may have also been another running on the route at the time. The 77 has up until now been run with aged Mercedes 709s. So a shame to see them go. Problem with this/ese new Solo/s is that they look no different from one that was built 10 years ago, to one thats brand new. I'd be suprised if anyone has noticed! Though would make a change from a 709! !